Nothing to do with this review and giveaway, but I have another review up today on Doodlewash. 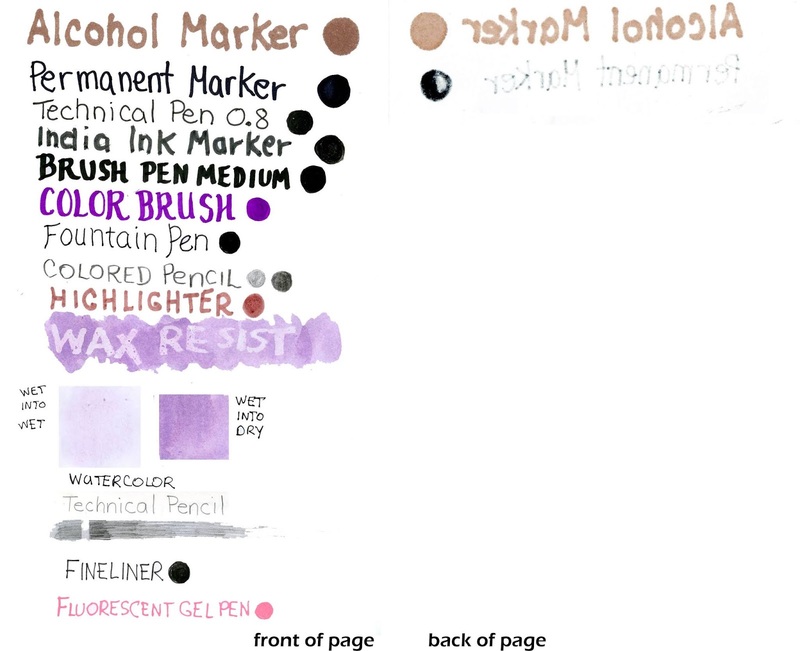 It’s on Da Vinci’s new 8 ml watercolor trios and I hope you’ll drop by and take a look at it. (Pretty please with sugar on top?). Giveaway has closed. The winner was Mary Roff. This is Part 2 of a 3-part series showing how to draw and color a Fun & Easy Elephant landscape. 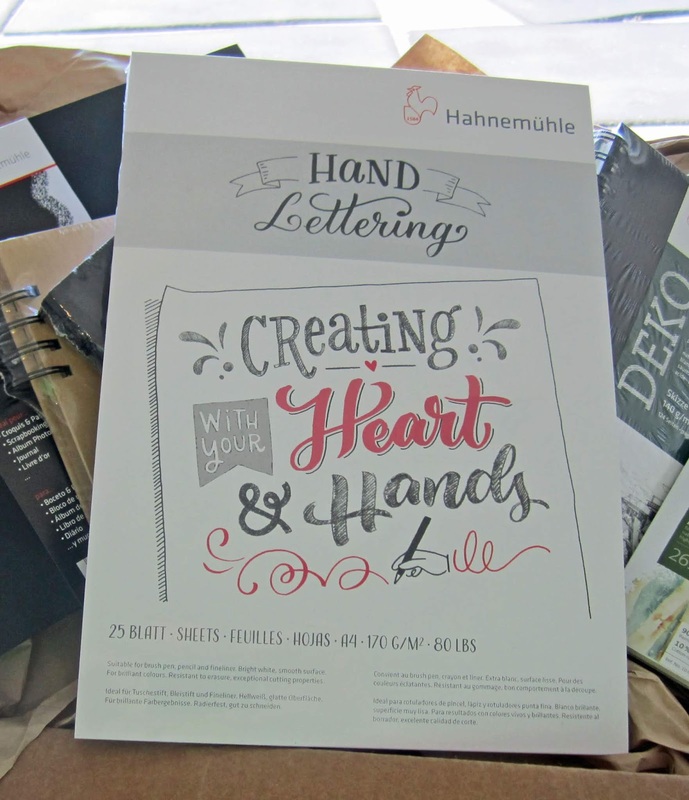 It includes a review and giveaway of the Hahnemühlhle Hand Lettering Pad. In last week’s Fun & Easy Landscape Challenge, I showed you how to draw the elephant. This week, I’m taking the elephants I drew and creating a full landscape on video. And to make things even better, in the video I’m reviewing the Hahnemühlhle Hand Lettering Pad I used and you can enter here for a chance to win one for yourself. The Friday Fun & Easy Landscape Challenge June 29 – July 12: Draw a landscape using the Elephant step-out. Extra calorie-free brownie points for using Elephant Foot Tree as well. My tools in the video are a Zebra Pens Zensations Technical Pen, Colored Pencil, Mildliner, Sarasa Fineliners and Hahnemühle Hand Lettering Pad. What Is the Prize? A pad of Hahnemühle Hand Lettering Paper, 25 sheets size A4, 80 lbs, like the one in the review. How to Enter? Type, or cut and paste these words: ‘I want to win Hahnemühle Hand Lettering‘ into the subject line of an email, and send it to me at LifeImitatesDoodles [at] gmail [dot] com. GIVEAWAY IS OVER: Friday, July 13, 2018 at 11:59 PM PDT. Winner will be notified by email. Who is Giving Away the Prize? Hahnemühle! I’m just paying the postage to send the prize. Seriously, they have been so generous. Please consider visiting them on Facebook, Twitter, Instagram or on their website to say thank you. Hahnemühle sent me two Hand Lettering pads, one for review and one for giveaway. I have received no other consideration, and all opinions expressed are my own.